The control system replacement for the four units is continuing. The first two units have been successfully completed ahead of schedule, providing the customer with financial benefits. The renovated units give very stable and efficient operation, allowing the customer to make everyday load changes at a faster rate than with the previous control system. The integrated device management system enables real-time, remote maintenance of multivender field devices via the control system, helping the users to minimize routine maintenance work. Eraring Power Station, located just north of Sydney, is one of the largest power stations in Australia, comprising four 660MW coal-fired units. The power station has operated reliably since 1981. To ensure continued reliability for the next few decades, Eraring Energy, the owner of the power plant, decided to replace the original hard-wired control equipment with a modern integrated control and monitoring system (ICMS). Significant project drivers were the requirements to maintain plant reliability and to gain operational improvements in order to ensure the competitiveness in the deregulated Australian power market. The re-instrumentation work started in early 2003 under the leadership of Yokogawa Australia, which teamed up with TechComm Simulation, a wholly owned Yokogawa subsidiary. The customer required an integrated system to control the operation of the boilers, turbines, generators and other balance of plant equipment. Yokogawa proposed an integrated solution comprised of a distributed control system (DCS), plant information management system, field device management system, full-replica training simulator and field instruments together with strong local support. The Eraring plant has four large units with a total system input/output (I/O) count of more than 40,000 as well as 25,000 interfaces to other plant auxiliary systems. Yokogawa's CENTUM CS 3000 R3 DCS supported this large application in a single architecture while ensuring reliable plant operation with its "pair & spare" non-stop controller technology. 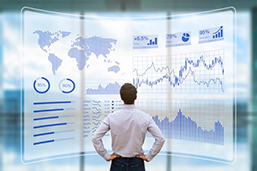 To satisfy the need for further operational improvement, a Yokogawa Exaquantum plant information management system was used for long-term data storage, data and alarm logging, and performance calculation. 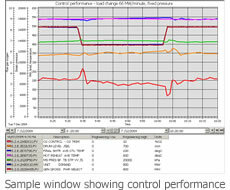 The users can monitor the graphical data for both current and historical plant information in an Exaquantum window at their own PCs using the Eraring wide area network. This makes it easier for operators and plant managers to keep informed and to make decisions for future plant operation. The customer also desired to improve plant operation in the aspects of human resources and operating environment. Yokogawa's high fidelity, full-replica simulator enabled custom-made operator training that fully replicated the characteristics of the Eraring Power Station. This allowed the operators to be familiar with all aspects of plant operation using the new control system before running the real plant. The original analog-based control room was replaced with a new control room which is based on the latest ergonomic design, securing operator's higher performance. Another important issue to be considered was system maintainability. From the late 1990's (before the control system replacement), the customer had progressively upgraded its analog field instruments selecting Yokogawa DPharp EJA transmitters as well as other vendor's devices. A further requirement was to upgrade the original paper-based field device management system to a Windows-based, user-friendly tool which integrates various data from multivender HART and analogue devices into a single database. The customer wanted system compatibility with the DCS and used the opportunity of the plant revamping to achieve tight integration of the field device management system into the DCS. 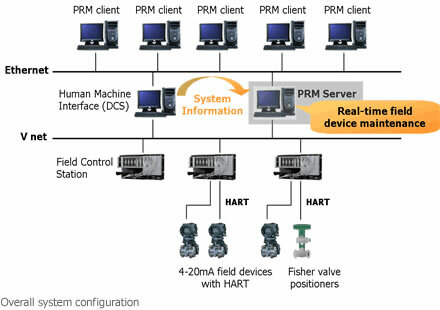 Yokogawa met these requirements for integrated device management across the HART protocol with a combination of its CENTUM CS 3000 DCS and its Plant Resource Manager (PRM) software. The new system integrates all field information into a single database on a PRM server and allows real-time, remote maintenance of many hundreds of devices, including around 500 EJA transmitters, via the DCS networks and HART I/O modules. The open architecture of PRM will also allow the diagnostics of smart Fisher valve positioners via the Yokogawa DCS just by loading diagnostic plug-in software onto the PRM server. This integrated maintenance solution helped Eraring's maintenance crew streamline plant maintenance work. Another challenge was the tight commissioning schedule. The first outage was planned 15 months after the initial order. 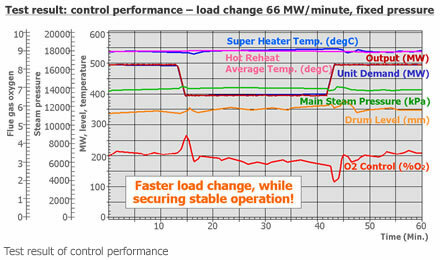 To minimize the time taken for the control system replacement, Yokogawa proposed a unique solution making full use of the capabilities of the Yokogawa DCS and simulator. The CENTUM has a unique engineering test function that enables an application functional test on a general-purpose PC without any real controller hardware. 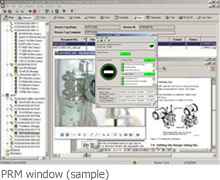 Yokogawa affiliate TechComm Simulation developed the high-fidelity simulation system based on the detailed plant documentation supplied by the customer. Combining these capabilities, Yokogawa engineers were able to very extensively test the new control system on the simulator prior to DCS commissioning, thereby minimizing the final tuning work once the unit returned to service. Eraring plant operators were well trained in the new control system utilizing the simulator. This avoided mistakes that could have occurred if they had not been familiar with the new system, ensuring a smooth plant commissioning process. The four units at Eraring are being retrofitted progressively, with the first changeover in August 2004 and the second unit being completed at the beginning of 2005. The customer was very pleased that Yokogawa has completed return to service of the first unit ahead of schedule, with the second unit approximately two weeks early and similar results expected for the third and fourth units. The renovated units give very stable, and at the same time more flexible operation than before. After the revamping, the customer now makes everyday load changes at a rate faster than with the previous control system. This can provide financial benefits in the competitive Australian electricity market. Integrated device management enables predictive maintenance, reducing routine maintenance work. Jeff Hogan, Power Station Technicians Supervisor of Eraring Energy said, "The upgrading of field instrument is still in progress but PRM has provided access from our workshop to all smart instruments on site. When a plant problem occurs we are able to verify the validity of reading and configuration settings of the associated instrument within a couple of minutes. A great diagnostic tool which enhances the Yokogawa CS3000 System."